THE FOLLOWING LECTURES have been written, not with less care, but with less pains, than any in former courses, because no labour could have rendered them exhaustive statements of their subjects, and I wished, therefore, to take from them every appearance of pretending to be so: but the assertions I have made are entirely deliberate, though their terms are unstudied; and the one which to the general reader will appear most startling, that the study of anatomy is destructive to art, is instantly necessary in explanation of the system adopted for the direction of my Oxford schools. At the period when engraving might have become to art what printing became to literature, the four greatest point-draughtsmen hitherto known, 1 Mantegna, Sandro, Botticelli, Dürer, and Holbein, occupied themselves in the new industry. All these four men were as high in intellect and moral sentiment as in art-power; and if they had engraved as Giotto painted, with popular and unscientific simplicity, would have left an inexhaustible series of prints, delightful to the most innocent minds, and strengthening to the most noble. 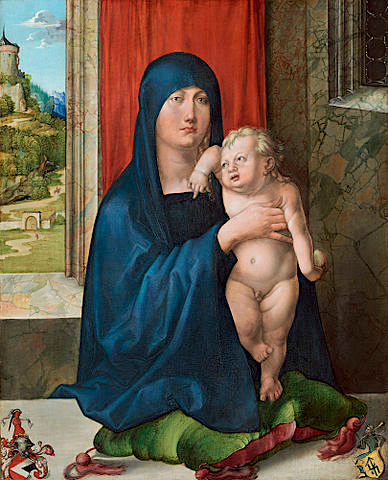 But two of them, Mantegna and Dürer, were so polluted and paralyzed by the study of anatomy that the former’s best works (the magnificent mythology of the Vices in the Louvre,2 for instance) are entirely revolting to all women and children; while Dürer never could draw one beautiful female form or face; and, of his important plates, only four, the Melancholia, St. Jerome in his study, St. Hubert, and The Knight and Death, are of any use for popular instruction, because in these only, the figures being fully draped or armed, he was enabled to think and feel rightly, being delivered from the ghastly toil of bone-delineation. Botticelli and Holbein studied the face first, and the limbs secondarily; and the works they have left are therefore (without exception) precious ; yet saddened and corrupted by the influence which the contemporary masters of body-drawing exercised on them; and at last eclipsed by their false fame. I purpose, therefore, in my next course of lectures,3 to explain the relation of these two draughtsmen to other masters of design, and of engraving. 1. THE LECTURES I have given hitherto, though, in the matter of them conscientiously addressed to my undergraduate pupils, yet were greatly modified in method by my feeling that this undergraduate class, to which I wished to speak, was indeed a somewhat imaginary one; and that, in truth, I was addressing a mixed audience, in greater part composed of the masters of the University, before whom it was my duty to lay down the principles on which I hoped to conduct, or prepare the way for the conduct of, these schools, rather than to enter on the immediate work of elementary teaching. 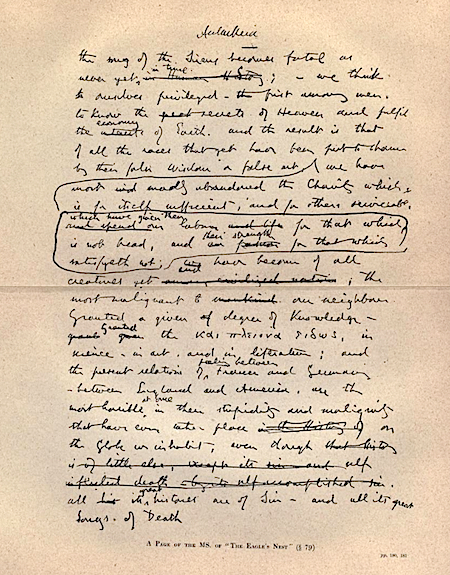 But to-day, and henceforward most frequently, we are to be engaged in definite, and, I trust, continuous studies; and from this time forward, I address myself wholly to my undergraduate pupils; and wish only that my Lectures may be serviceable to them, and, as far as the sub­ject may admit of it, interesting. 2. AND, FARTHER STILL, I must ask even my younger hearers to pardon me if I treat that subject in a somewhat narrow, and simple way. They have a great deal of hard work to do in other schools: in these, they must not think that I underrate their powers, if I endeavour to make everything as easy to them as possible. No study that is worth pursuing seriously can be pursued without effort; but we need never make the effort painful merely for the sake of preserving our dignity. Also, I shall make my Lectures shorter than heretofore. What I tell you I wish you to remember; and I do not think it possible for you to remember well much more than I can easily tell you in half-an-hour. I will promise that, at all events, you shall always be released so well within the hour, that you can keep any appointment accurately for the next. You will not think me indolent in doing this; for, in the first place, I can assure you, it sometimes takes me a week to think over what it does not take a minute to say: and, secondly, believe me, the least part of the work of any sound art-teacher must be his talking. Nay, most deeply also, it is to be wished that, with respect to the study which I have to bring before you to-day, in its relation to art, namely, natural philosophy, the teachers of it, up to this present century, had done less work in talking, and more in observing: and it would be well even for the men of this century, pre-eminent and accomplished as they are in accuracy of observation, if they had completely conquered the old habit of considering, with respect to any matter, rather what is to be said, than what is to be known. 3. YOU WILL, PERHAPS, readily admit this with respect to science; and believe my assertion of it with respect to art. You will feel the pro­bable mischief, in both these domains of intel­lect, which must follow on the desire rather to talk than to know, and rather to talk than to do. But the third domain, into the midst of which, here, in Oxford, science and art seem to have thrust themselves hotly, like intrusive rocks, not without grim disturbance of the anciently fruitful plain;—your Kingdom or Princedom of Literature ? Can we carry our statement into a third parallelism, for that? It is ill for Science, we say, when men desire to talk rather than to know; ill for Art, when they desire to talk rather than to do. Ill for Literature, when they desire to talk,—is it? and rather than—what else? Perhaps you think that literature means nothing else than talking?—that the triple powers of science, art, and scholarship, mean simply the powers of knowing, doing, and saying. But that is not so in any wise. The faculty of saying or writing anything well, is an art, just as much as any other; and founded on a science as definite as any other. Professor Max Müller teaches you the science of language; and there are people who will tell you that the only art I can teach you myself, is the art of it. But try your triple parallelism once more, briefly, and see if another idea will not occur to you. In science, you must not talk before you know. In art, you must not talk before you do. In literature you must not talk before you—think. That is your third Province. The Kingdom of Thought, or Conception. SCIENCE. . . . . . The knowledge of things, whether Ideal or Substantial. ART. . . . . . . . . . . The modification of Substantial things by our Substantial Power. LITERATURE. . .The modification of Ideal things by our Ideal Power. Nevertheless, I must be content to-day with our old word. We cannot say ‘spiriture ‘ nor ‘animature,’ instead of literature; but you must not be content with the vulgar interpretation of the word. Remember always that you come to this University, or, at least, your fathers came,—not to learn how to say things,—but how to think them. 5. “HOW TO THINK them! but that is only the art of logic,” you perhaps would answer. No, again, not at all: logic is a method, not a power; and we have defined literature to be the modification of ideal things by ideal power, not by mechanical method. And you come to the University to get that power, or develop it; not to be taught the mere method of using it. I say you come to the University for this; and perhaps some of you are much surprised to hear it! You did not know that you came to the University for any such purpose. Nay, perhaps you did not know that you had come to a University at all? You do not at this instant, some of you, I am well assured, know what a University means. Does it mean, for instance—can you answer me in a moment, whether it means—a place where everybody comes to learn something; or a place where somebody comes to learn everything? It means—or you are trying to make it mean—practi­cally and at present, the first; but it means theoretically, and always, the last; a place where only certain persons come, to learn every­thing; that is to say, where those who wish to be able to think, come to learn to think; not to think of mathematics only, nor of morals, nor of surgery, nor chemistry, but of everything, rightly. 6. I SAY YOU do not all know this; and yet, whether you know it or not,—whether you desire it or not,—to some extent the everlasting fitness of the matter makes the facts conform to it. For we have at present, observe, schools of three kinds, in operation over the whole of England. 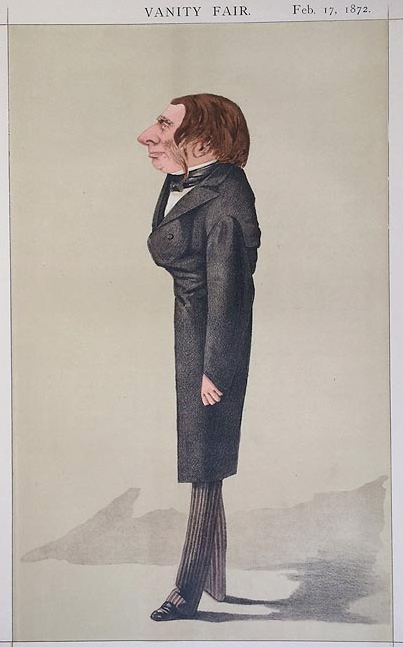 We have—I name it first, though, I am sorry to say, it is last in influence—the body consisting of the Royal Academy, with the Institute of Architects, and the schools at Kensington, and their branches; teaching various styles of fine or mechanical art. We have, in the second place, the Royal Society, as a central body; and, as its satellites, sepa­rate companies of men devoted to each several science: investigating, classing, and describing facts with unwearied industry. And lastly and chiefly, we have the great Universities, with all their subordinate public schools, distinctively occupied in regulating,—as I think you will at once admit,—not the language merely, nor even the language principally, but the modes of philo­sophical and imaginative thought in which we desire that youth should be disciplined, and age informed and majestic. The methods of lan­guage, and its range; the possibilities of its beauty, and the necessities for its precision, are all dependent upon the range and dignity of the unspoken conceptions which it is the function of these great schools of literature to awaken, and to guide. 7. THE RANGE AND dignity of conceptions! Let us pause a minute or two at these words, and be sure we accept them. First, what is a conception? what is this separate object of our work, as scholars, distin­guished from artists, and from men of science ? We shall discover this better by taking a simple instance of the three agencies. Suppose that you were actually on the plain of Pæstum, watching the drift of storm-cloud which Turner has here engraved. If you had occupied yourself chiefly in schools of science, you would think of the mode in which the elec­tricity was collected; of the influence it had on the shape and motion of the cloud; of the force and duration of its flashes, and of other such material phenomena. If you were an artist, you would be considering how it might be possible, with the means at your disposal, to obtain the brilliancy of the light, or the depth of the gloom. Finally, if you were a scholar, as distinguished from either of these, you would be occupied with the imagination of the state of the temple in former times; and as you watched the thunder­ clouds drift past its columns, and the power of the God of the heavens put forth, as it seemed, in scorn of the departed power of the god who was thought by the heathen to shake the earth—the utterance of your mind would become, whether in actual words or not, such as that of the Psalmist:—”Clouds and darkness are round about Him—righteousness and judgment are the habitation of His throne.” Your thoughts would take that shape, of their own accord, and if they fell also into the language, still your essential scholarship would consist, not in your remem­bering the verse, still less in your knowing that “judgment” was a Latin word, and “throne” a Greek one; but in your having power enough of conception, and elevation enough of character, to understand the nature of justice, and be ap­palled before the majesty of dominion. 8. YOU COME, THEREFORE, to this University, I repeat once again, that you may learn how to form conceptions of proper range or grasp, and proper dignity, or worthiness. Keeping then the ideas of a separate school of art, and sepa­rate school of science, what have you to learn in these? You would learn in the school of art, the due range and dignity of deeds; or doings—(I prefer the word to “makings,” as more general), and in the school of science, you would have to learn the range and dignity of knowledges. Now be quite clear about this: be sure whether you really agree with me or not. You come to the School of Literature, I say, to learn the range and dignity of conceptions. To the School of Art, to learn the range and dignity of deeds. To the School of Science, to learn the range and dignity of knowledges. Do you agree to that, or not ? I will assume that you admit my triple division; but do you think, in opposition to me, that a school of science is still a school of science, whatever sort of knowledge it teaches; and a school of art still a school of art, whatever sort of deed it teaches; and a school of literature still a school of literature, whatever sort of notion it teaches? Do you think that? for observe, my statement denies that. My statement is, that a school of literature teaches you to have one sort of con­ception, not another sort; a school of art to do a particular sort of deed, not another sort; a school of science to possess a particular sort of knowledge, not another sort. 9. I assume that you differ with me on this point;—some of you certainly will. Well then, let me go back a step. You will all go thus far with me, that—now taking the Greek words­ the school of literature teaches you to have νοῦς, or conception of things, instead of ἄνοια,—no conception of things; that the school of art teaches you τέχνη of things, instead of ἀτεχνία; and the school of science ἐπιστήμη, instead of ἄγνοια or ‘ignorantia.’ But, you recollect, Aristotle names two other faculties with these three,—φρόνησις, namely, and σοφία. He has altogether five, τέχνη, ἐπιστήμη, φρόνησις, σοφία, νοῦς; that is to say, in simplest English,—art, science, sense, wisdom, and wit. We have got our art, science, and wit, set over their three domains; and we old people send you young ones to those three schools, that you may not remain artless, scienceless, nor witless. But how of the sense, and the wisdom? What domains belong to these? Do you think our trefoil division should become cinquefoil, and that we ought to have two additional schools; one of Philosophia, and one of Philophronesia? If Aristotle’s division were right it would be so. But his division is wrong, and he presently shows it is; for he tells you in the next page, (in the sentence I have so often quoted to you,) that “the virtue of art is the wisdom which consists in the wit of what is honourable.” Now that is perfectly true ; but it of course vitiates his division altogether. He divides his entire subject into A, B, C, D, and E ; and then he tells you that the virtue of A is the B which consists in C. Now you will continually find, in this way, that Aristotle’s assertions are right, but his divisions illogical. It is quite true that the virtue of art is the wisdom which consists in the wit of what is honourable; but also the virtue of science is the wit of what is honour­able, and in the same sense, the virtue of νους, or wit itself, consists in its being the wit or conception of what is honourable. Σοφια, there­fore, is not only the αρετη τεχνης, but, in exactly the same sense, the αρετη επιστημης, and in this sense, it is the αρετη νοου. And if not governed by σοφια, each school will teach the vicious con­dition of its own special faculty. As σοφια is the αρετη of all three, so μωρια will be the κακια of all three. 10. Now in this, whether you agree with me or not, let me be at least sure you understand me. Σοφια, I say, is the virtue, μωρια is the vice, of all the three faculties of art, science, and literature. There is for each of them a negative and a positive side, as well as a zero. There is a nescience for zero in science—with wise science on one side, foolish science on the other: ατεχνια for zero in art, with wise art on one side, foolish art on the other; and ανοια for zero in νους, with wise νους on one side, foolish νους on the other. 11. You will smile at that last expression, ‘foolish νους.’ Yet it is, of all foolish things, the commonest and deadliest. We continually complain of men, much more of women, for reasoning ill. But it does not matter how they reason, if they don’t conceive basely. Not one person in a hundred is capable of seriously rea­soning; the difference between man and man is in the quickness and quality, the accipitrine in­tensity, the olfactory choice, of his νους. Does he hawk at game or carrion? What you choose to grasp with your mind is the question;—not how you handle it afterwards. What does it matter how you build, if you have bad bricks to build with; or how you reason, if every idea with which you begin is foul or false? And in general all fatal false reasoning proceeds from people’s having some one false notion in their hearts, with which they are resolved that their reasoning shall comply. But, for better illustration, I will now take by own special subject out of the three;—τεχνη. I have said that we have, for its zero, ατεχνια, or artlessness—in Latin, ‘inertia,’ op­posed to ‘ars.’ Well, then, we have, from that zero, wise art on the one side, foolish art on the other; and the finer the art, the more it is cap­able of this living increase, or deadly defect. I will take, for example, first, a very simple art, then a finer one; but both of them arts with which most of you are thoroughly acquainted. 12.One of the simplest pieces of perfect art, which you are yourselves in the habit of practising, is the stroke of an oar given in true time. We have defined art to be the wise modification of matter by the body (substan­tial things by substantial power, § 3). With a good oar-stroke you displace a certain quan­tity of water in a wise way. Supposing you missed your stroke, and caught a crab, you would displace a certain quantity of water in a foolish way, not only ineffectually, but in a way the reverse of what you intended. One of the simplest pieces of perfect art, which you are yourselves in the habit of practising, is the stroke of an oar given in true time. The perfectness of the stroke implies not only absolutely accurate knowledge or science of the mode in which water resists the blade of an oar, but the having in past time met that resistance repeatedly with greater and greater rightness of adaptation to the end proposed. That end being perfectly simple,—the advance of the boat as far as possible with a given expenditure of strength, you at once recognize the degree in which the art falls short of, or the artlessness negatives, your purpose. But your being σοφος, as an oarsman, implies much more than this mere art founded on pure science. The fact of your being able to row in a beautiful manner depends on other things than the know­ledge of the force of water, or the repeated practice of certain actions in resistance to it. It implies the practice of those actions under a resolved discipline of the body, involving regu­lation of the passions. It signifies submission to the authority, and amicable concurrence with the humours, of other persons; and so far as it is beautifully done at last, absolutely signifies therefore a moral and intellectual rightness, to the necessary extent influencing the charac­ter honourably and graciously. This is the sophia, or wit, of what is most honourable, which is concerned in rowing, without which it must become no rowing, or the reverse of rowing. 13. Let us next take example in an art which perhaps you will think (though I hope not) much inferior to rowing, but which is in reality a much higher art—dancing. I have just told you (§11) how to test the rank of arts­ namely, by their corruptibility, as you judge of the fineness of organic substance. The moria, [If the English reader will pronounce the o in this word as in fold, and in sophia as in sop, but accenting the o, not the i, I need not any more disturb my pages with Greek types.] or folly, of rowing, is only ridiculous, but the moria, or folly, of dancing, is much worse than ridiculous; and, therefore, you may know that its sophia, or wisdom, will be much more beautiful than the wisdom of rowing. Suppose, for instance, a minuet danced by two lovers, both highly bred, both of noble character, and very much in love with each other. You would see, in that, an art of the most highly finished kind, under the government of a sophia which dealt with the strongest passions, and most exquisite perceptions of beauty, possible to humanity. 14. For example of the contrary of these, in the same art, I cannot give you one more defi­nite than that which I saw at, I think, the Gaiety Theatre—but it might have been at any London theatre now,—two years ago. The supposed scene of the dance was Hell, which was painted in the background with its flames. The dancers were supposed to be de­mons, and wore black masks, with red tinsel for fiery eyes; the same red light was repre­sented as coming out of their ears also. They began their dance by ascending through the stage on spring trap-doors, which threw them at once ten feet into the air; and its perform­ance consisted in the expression of every kind of evil passion, in frantic excess. 15. You will not, I imagine, be at a loss to understand the sense in which the words sophia and moria are to be rightly used of these two methods of the same art. But those of you who are in the habit of accurate thinking will at once perceive that I have introduced a new element into my subject by taking an instance in a higher art. The folly of rowing consisted mainly in not being able to row; but this folly of dancing does not consist in not being able to dance, but in dancing well with evil purpose; and the better the dancing, the worse the result. And now I am afraid I must tease you by asking your attention to what you may at first think a vain nicety in analysis, but the nicety is here essential, and I hope throughout this course of Lectures, not to be so troublesome to you again. 16. The mere negation of the power of art­—the zero of it—you say, in rowing, is ridiculous. It is, of course, not less ridiculous in dancing. But what do you mean by ridiculous? You mean contemptible, so as to provoke laughter. The contempt, in either case, is slight, in ordinary society; because, though a man may neither know how to row, or dance, he may know many other things. But suppose he lived where he could not know many other things? 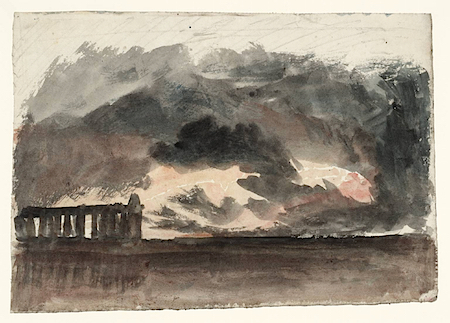 By a stormy sea-coast, where there could be no fresco-paint­ing, in a poor country, where could be none of the fine arts connected with wealth, and in a simple, and primitive society, not yet reached by refinements of literature ; but where good rowing was necessary for the support of life, and good dancing, one of the most vivid aids to domestic pleasure. You would then say that inability to row, or to dance, was far worse than ridiculous; that it marked a an for a good­-for-nothing fellow, to be regarded with indigna­tion, as well as contempt. Now, remember, the inertia or zero of art always involves this kind of crime, or at least, pitiableness. The want of opportunity of learn­ing takes away the moral guilt of artlessness; but the want of opportunity of learning such arts as are becoming in given circumstances, may indeed be no crime in an individual, but cannot be alleged in its defence by a nation. National ignorance of decent art is always criminal, unless in earliest conditions of society ; and then it is brutal. 17. To that extent, therefore, culpably or otherwise, a kind of moria, or folly, is always indicated by the zero of art-power. But the true folly, or assuredly culpable folly, is in the exertion of our art power in an evil direction. And here we need the finesse of distinction, which I am afraid will be provoking to you. Observe, first, and simply, that the possession of any art-power at all implies a sophia of some kind. These demon dancers, of whom I have just spoken, were earning their bread by severe and honest labour. The skill they possessed could not have been acquired but by great pa­tience and resolute self-denial; and the very power with which they were able to express, with precision, states of evil passion, indicated that they had been brought up in a society which, in some measure, knew evil from good, and which had, therefore, some measure of good in the midst of it. Nay, the farther probability is, that if you inquired into the life of these men, you would find that this demon dance had been invented by some one of them with a great imaginative power, and was performed by them not at all in preference of evil, but to meet the demand of a public whose admiration was capable of being excited only by violence of gesture, and vice of emotion. 18. In all cases, therefore, observe, where the opportunity of learning has been given; the exis­tence of the art-power indicates sophia and its absence indicates moria. That great fact I en­deavoured to express to you, two years since, in my third introductory Lecture. In the present course I have to show you the action of the final, or higher sophia, which directs the skill of art to the best purposes; and of the final, or lower moria, which misdirects them to the worst. And the two points I shall endeavour to bring before you throughout will be these:—First, that the object of University teaching is to form your conceptions;—not to acquaint you with arts, nor sciences. It is to give you a notion of what is meant by smith’s work, for instance;—but not to make you blacksmiths. It is to give you a notion of what is meant by medicine, but not to make you physicians. The proper academy for blacksmiths is a blacksmith’s forge; the proper academy for physicians is an hospital. Here you are to be taken away from the forge, out of the hospital, out of all special and limited labour and thought, into the ‘Universitas’ of labour and thought, that you may in peace, in leisure, in calm of disinterested contemplation, be en­abled to conceive rightly the laws of nature, and the destinies of Man. Are not these, and the innumerable words like to these, which you remember as I read them, strange words, if Aristotle’s statement respecting wisdom be true; that it never con­templates anything that can make men happy, “η μεν γαρ σοφια ουδεν θεωρει εξ ων εσται ευδαιμων ανθρωπος”? When we next meet, therefore, I purpose to examine what it is which wisdom, by preference, contemplates; what choice she makes among the thoughts and sciences open to her, and to what purpose she employs whatever science she may possess. This is the first lecture from The Eagle’s Nest: Ten Lectures on the Relation of Natural Science to Art, Given Before the University of Oxford in Lent Term, 1872. This lecture was delivered on 8 February 1872 and published concurrently in the Fortnightly Review. This Fortnightly Review article is filed under the following rubrics: Archived content, Art & Architecture, Commentary on Art and Literature. Publication: Wednesday, 25 May 2016, at 15:42. 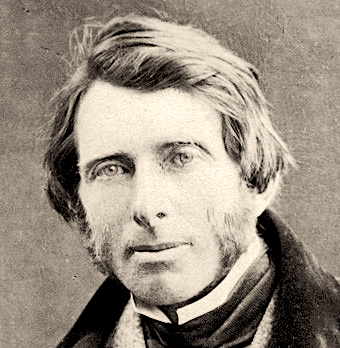 Options: Archive for John Ruskin. Bookmark the permalink. Follow comments here with the RSS feed. Post a comment or leave a trackback. ‹ A history lesson for Hilary Benn and Yvette Cooper.